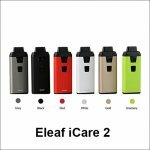 The Eleaf iCare 2 features an exquisite rubber paint finish, giving you a softer and smoother feel in hand than ever. 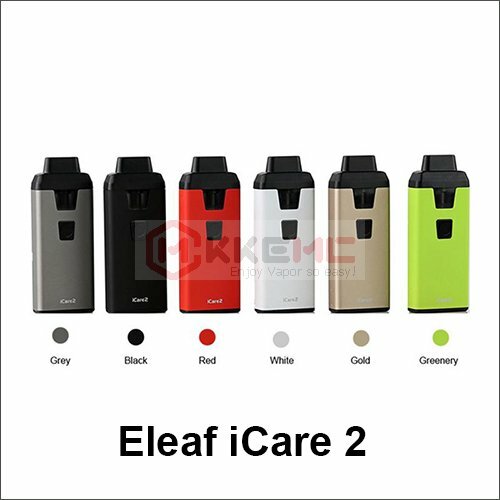 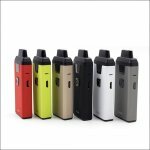 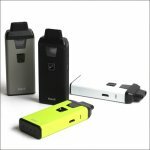 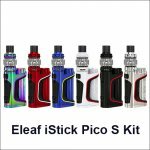 Equipped with a removable 2ml tank and an internal 650mAh battery, the Eleaf iCare 2 is another ultra compact e cigarette starter kit. 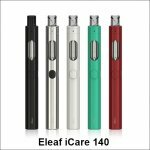 The tank can be refilled with ease simply by removing the mouthpiece. 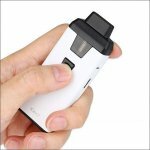 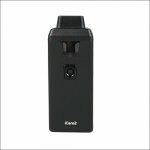 To activate the device simply press the button and vapor will be produced instantaneously. 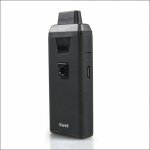 The intuitive four color LEDs are for ease of checking battery status. 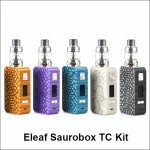 By using a higher strength eliquidejuice_27" target="_blank" class="zx">e-liquid, the Eleaf iCare 2 with its new IC 1.3ohm Head perfectly recreates the sensation you are accustomed to.